Beckee Cutler passed away surrounded by family and close friends on July 8th, 2018 in her home in Pocatello, Idaho. She was born in Seattle Washington to James and LoAnna Armstrong on August 30th, 1967. Beckee attended school in Rupert, Idaho. She met Bob Cutler, her husband and soulmate in 1993. They were married in 2004. After attending ISU, she worked in the medical field. 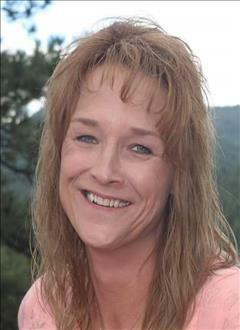 Beckee and Bob moved to Colorado in 2004 where she worked as an administrative assistant for 12 years. She is survived by husband Bob Cutler and children Aimee Allshouse of Pocatello. Amanda Saltzman of Idaho Falls. Step children Josh (Jessie) Cutler of Colorado. Brooke Cutler and Dakota Cutler of Inkom Idaho. Grandchildren Taysia (Tater Bug) 18, Austynne (Austynne P coldtrain) 11, Jayde (Jadey Bug) 2, Jaxson (Jaxarooney) 13, Gabriella (Gabzilla) 3, Grace (Gracie Lou) 8, and AnnDee (sassy pants) 2. Her sisters Jamie Armstrong of Twin Falls, Debra (Todd) Knealing of Sioux City, Iowa. Her brother Jimmy (Melissa) Armstrong of Reno, Nevada and Numerous nieces and nephews. A special thanks to encompass for the care and compassion they showed to her and our family. There will be a celebration of life for family and friends to attend for her birthday at the end of August. Details, time and location to follow.